On the same day that an Apple memo urging employees to stop leaking company info leaked, the company is now dealing with another, well, leak. But, this time it wasn't anyone from inside Apple who spilled the goods; it was the Federal Communications Commission (FCC). 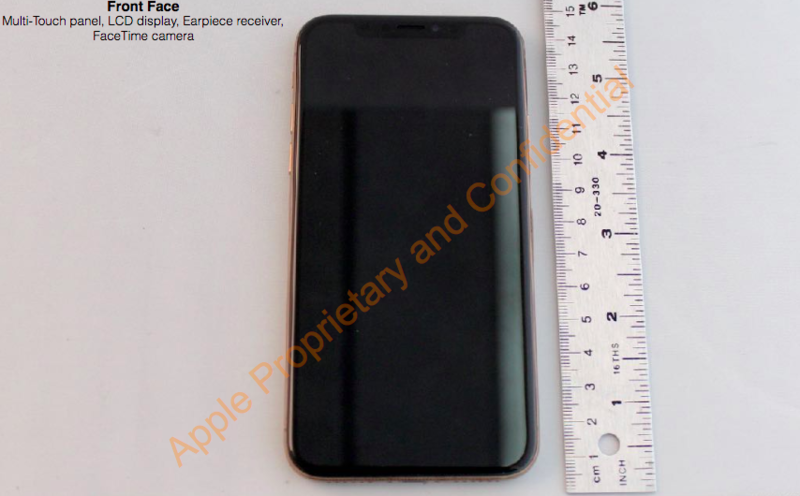 As spotted by 9to5Mac, a gold iPhone X appears to have arrived at the FCC offices, which is surprising considering Apple hasn't made an official announcement about the new color on its flagship smartphone. The tones on this iPhone X are quite shiny and, at a glance, look like a darker version of those on the gold iPhone 8. One of the main differences with the gold iPhone X is that it has black bezels, whereas the gold iPhone 8 comes with white ones. Apple just tried a similar formula with the Product RED iPhone 8 Plus we checked out yesterday. Even though the FCC isn't a random person on the internet who claims to have a gold iPhone X, don't get too excited about it until Apple confirms its existence. Something worth noting, as 9to5Mac points out, the leaked iPhone X has a model identifier of "A1903," which is different than the "A1865," "A1901" and "A1902" that are already out on the market. If this gold iPhone X is indeed the real deal, though, then it probably won't be too long until Apple launches it. We reached out to Apple for comment and will update this post if we hear back.